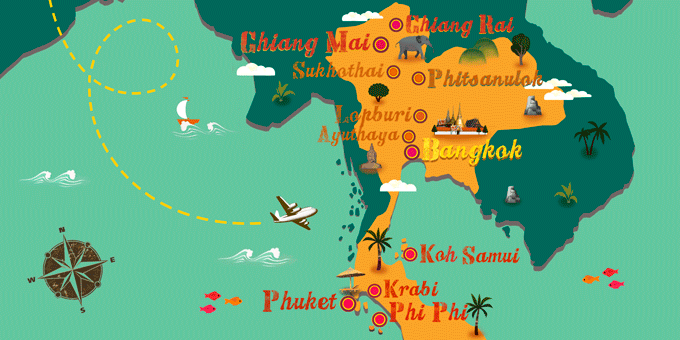 Thailand is one of the best destinations in Southeast Asia for shopping. Its wide variety of markets, products, imitation brands and the fact that prices are quite low are some of the factors that will make the traveler end up with a full suitcase. The city’s markets are one of the liveliest parts of Thai society, a reflection of their culture and their true essence. Thailand has hundreds of markets: floating, night, weekend or train track markets. These coexist with shopping centers, which are larger and more luxurious, where you can find Western brands at great prices.